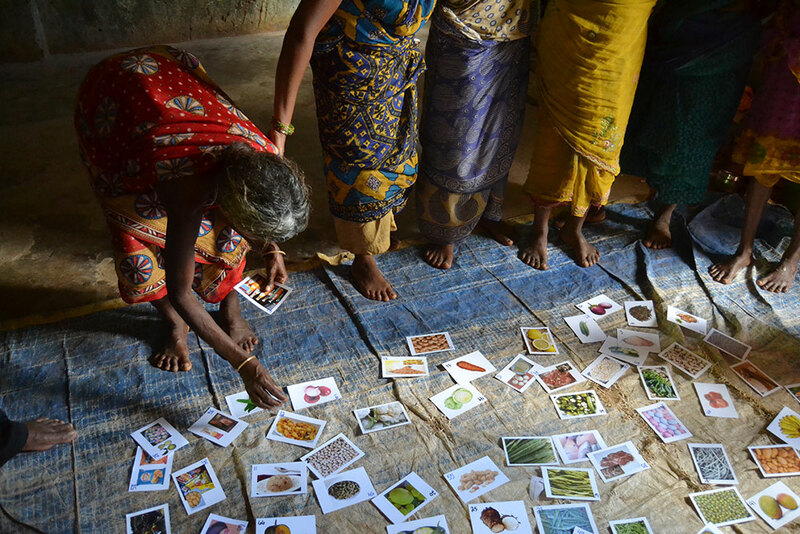 SPRING, Digital Green, and VARRAT conducted formative research into nutrition-specific maternal, infant, and young children nutrition (MIYCN), hygiene, and nutrition-sensitive agriculture practices in Keonjhar, Odisha, India in September to October 2016. 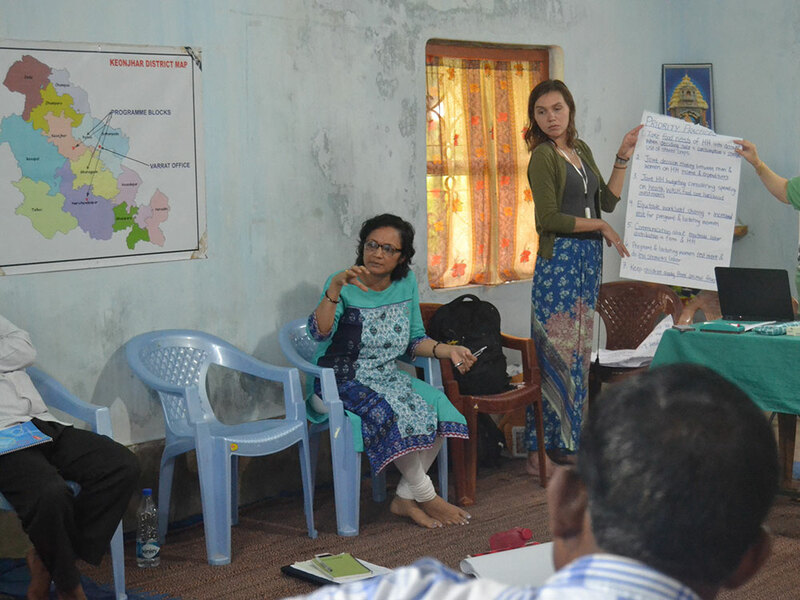 The team conducted 32 focus group discussions in eight villages over a seven-day period, as well as observational transect walks in all eight villages. The formative research findings will be used to prioritize priority practices and priority foods and crops to promote throughout implementation of a randomized control trial evaluating the effectiveness of the community video approach to improve MIYCN, hygiene, and nutrition-sensitive agriculture practices. 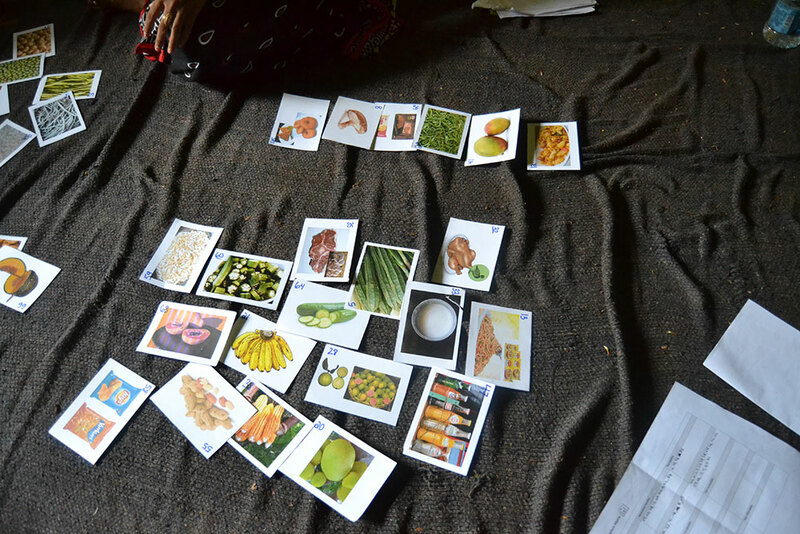 Grandmothers participating in a focus group sort cards of local foods into piles that indicate each food’s affordability locally. Grandmothers discuss how different foods are perceived in the community as healthy, well-liked, available, and affordable. Food cards sorted by a focus group into piles. Each pile represents the availability of each food in the focus group’s village (very available, somewhat available, and not available). 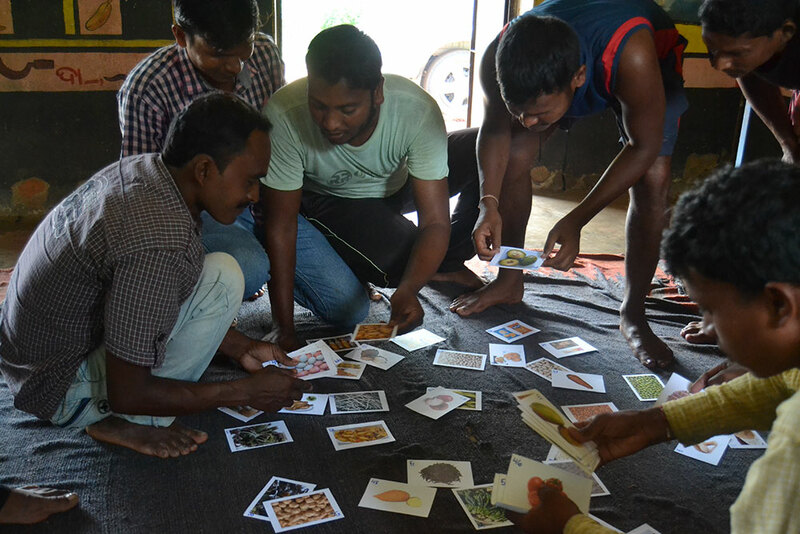 Fathers in a focus group complete the food pile sort exercise. 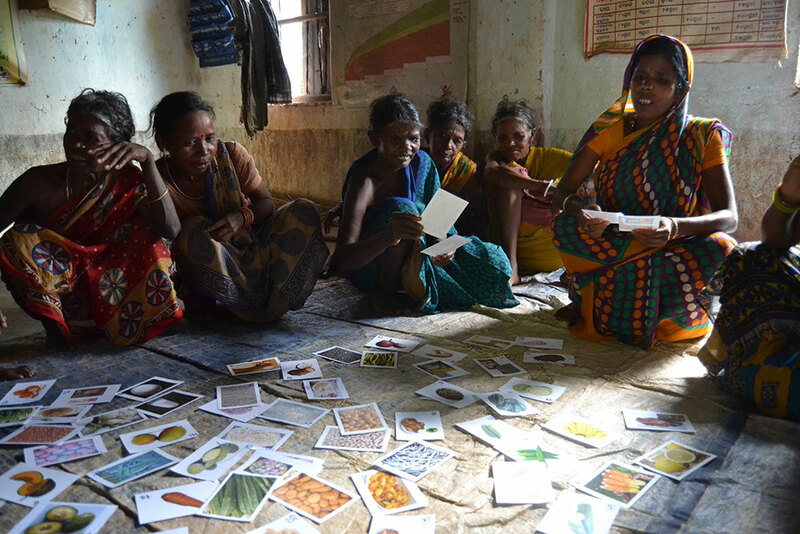 After completing the food pile sort exercise, mothers participate in a focus group discussion. 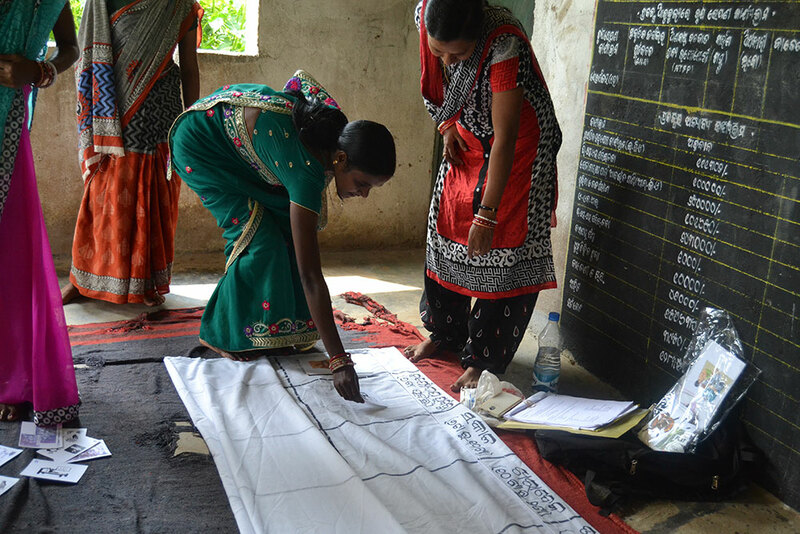 During a mothers’ focus group, women complete a daily activity chart exercise. 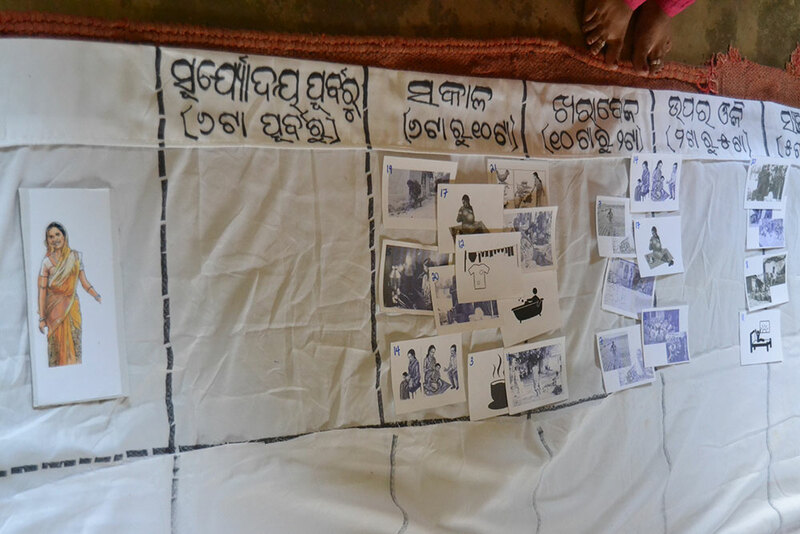 A daily activity chart completed by a focus group, which depicts typical daily activities for a grandmother in the focus group’s village. 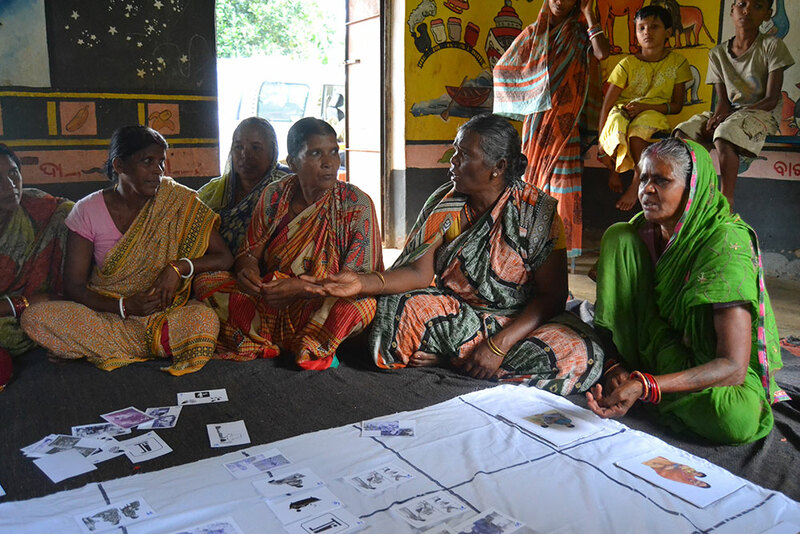 Mothers-in-law debate household division of labor while completing a chart depicting daily activities for mothers, fathers, and grandmothers. 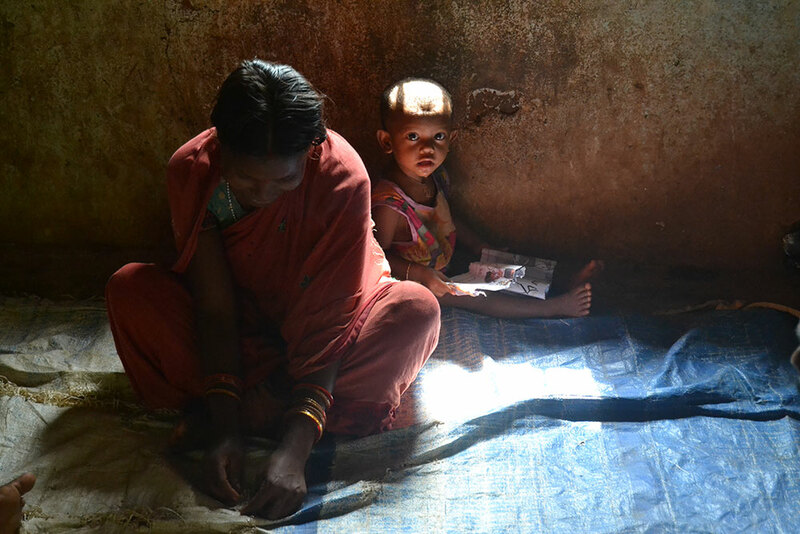 A child plays as his mother participates in a focus group discussion. 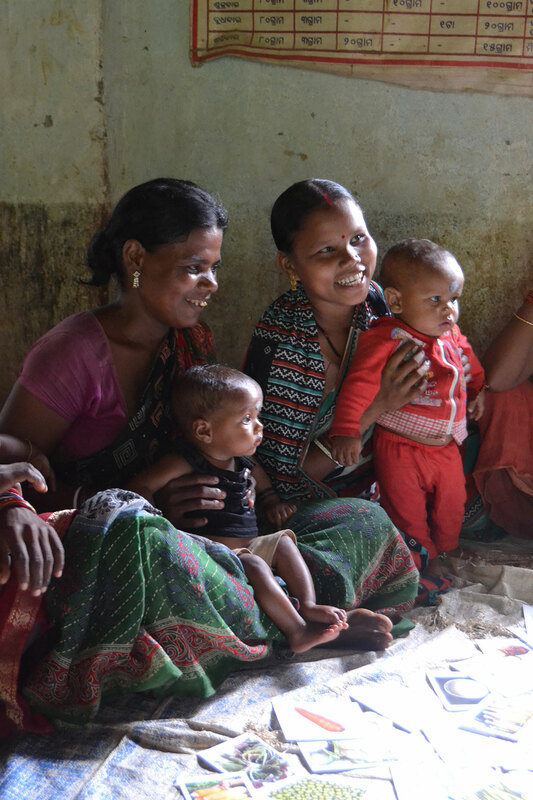 A focus group moderator prompts a discussion exploring common diets and food taboos for pregnant and lactating women in the community. 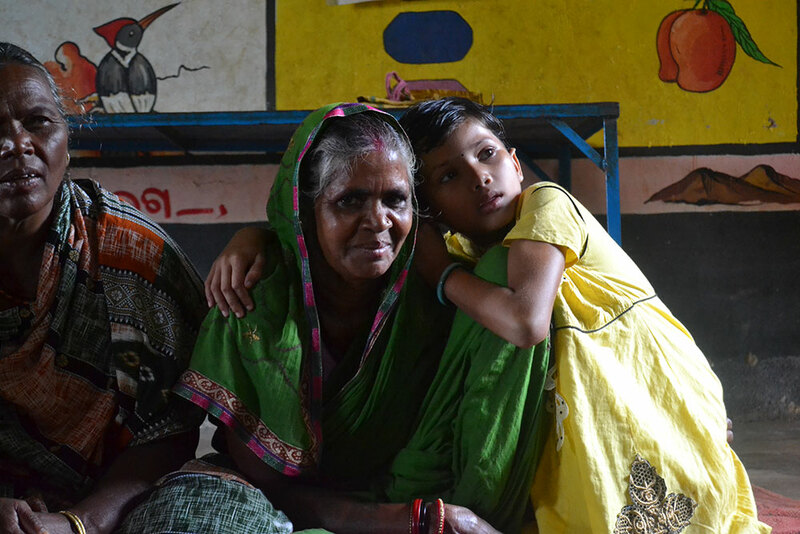 A granddaughter listens in as her grandmother participates in a focus group discussion about water, sanitation, and hygiene practices in their community. Partners analyze findings from the focus group discussions to arrive at priority practices for implementation of the community video program. 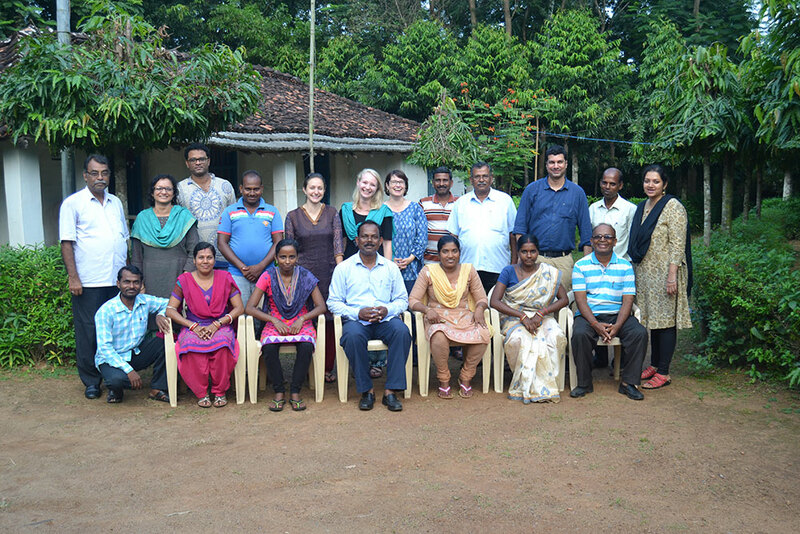 The research team, including partners from SPRING, Digital Green, VARRAT, Ekjut, and the London School of Hygiene and Tropical Medicine.